The middle, the half-way mark, the beginning of the fourth week: whatever your term of choice, we have reached it at Green Acres Camp. 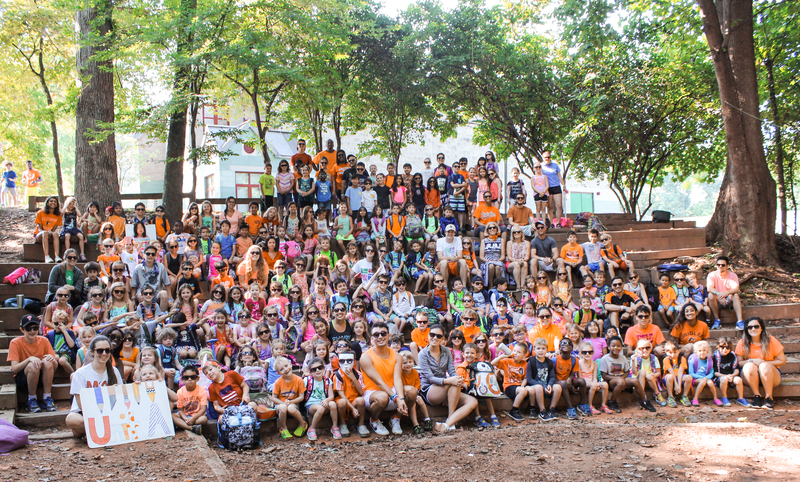 It is hard to fathom that three weeks have passed so quickly, yet campers have accomplished a great deal. Walking around campus, it is simple to observe campers having fun. Smiles, giggles and laughter fill the classrooms. Kids and counselors play games, share stories, and joke with one another. The atmosphere is relaxed and happy. Signs of friendship abound. Little ones hold hands as they walk to the playground, campers include one another in games, and kids read together during D.E.A.R. time. There is a sense of camaraderie noted in the unit cheers and songs. Good sportsmanship is for which teams strive to earn. Campers enjoy working together. Creativity is another key word to describe Green Acres and one look at the activities and workshops provides evidence that the campers are using their imaginations to solve problems, create works of art, develop their skills, and express their individuality. Campers are encouraged to take risks and try new experiences on a daily basis. You may want to learn more by reading the article, “Fostering Creativity at Camp and in Life” by the American Camp Association at https://www.acacamps.org/resource-library/camping-magazine/fostering-creativity-camp-life. There are three more weeks of camp left; time for some campers to begin and others to continue through week six: three more weeks of fun, friendship, creativity and choices. Green Acres: it’s the place to be!